Cloud computing continues to be integrated deeper into daily activities, both personal and business-related. Users may not even realize they are using it because it has Simply become the norm. That file you accessed from Dropbox? That was via the cloud. The last online security assessment you just completed via your company’s learning management system? That most likely was via the cloud. Cloud computing, also known as the cloud, is simply accessing computing resources via the Internet. If have made the decision to free up some physical space and streamline your activities, you are ready to face the numerous cloud provider options available. Choosing a cloud provider is not the easiest thing to do, especially if you are not an IT expert yourself. However, one-way to further inform yourself about cloud computing is by taking online courses. For example, online platforms like Cloud Academy offer cloud training courses that will help expand your knowledge and stay informed during the implementation of cloud computing in your business. As you gear up to choose a cloud provider, here are five questions that you should ask yourself, both in regards to your personal needs as well as things to look for specific to the provider. Question #1: What do you want to accomplish? With all the talk surrounding the “cloud” these days, it is easy to get swept up into the idea of making the shift. Therefore it is important to first and foremost consider why are you making the shift. What is it that you are looking to accomplish? What are some issues with your current methods? What is your ideal situation? You need to understand exactly what your goals are full. With many different cloud providers out there, you certainly have options. In order to ensure you move forward with the cloud provider that is the right fit, you should be 100% confident in what exactly you are looking for in a cloud provider. Question #2: What does the cloud provider specialize in? Salesforce is Software as a Service (SaaS) that specializes in customer relationship management, and Google App Engine is a standard Platform as a Service (PaaS). Question #3: Does this cloud provider have a “try before you buy” option? A free trial or “try before you buy” option is an excellent way to make sure you are getting what you pay for. Most major cloud providers understand that customers want to test out their offering before investing and therefore offer a trial period. Often, they even work with you to ensure you are using it to its full potential and help convince management that moving to the cloud and working with them will give them the best ROI. For a long-term trial that is completely custom to your business practices, ask to test out a solution via a pilot program. It may cost some money due to customization and implementation, but this will give you the whole picture and full understanding of what is possible if you move forward with a specific provider. Any provider can look like the right fit on paper, but the best way to learn if it is the right fit is by actually trying it out. Question #4: Will my information be secure? Security is always a priority, for both the security of your information as well as that of your clients’. Cloud providers certainly understand this and generally take all the measures necessary to offer the best protection possible. For example, reliable data backups, as well as encrypted communications across the Internet, are quite common security measures. If you have specific security measures that you are either required to uphold or prefer to be upheld, be sure to ask every question about security needed. For example, the public authority of privacy and security may require data servers to be located in your country. In this case, it would be necessary to ask where the backup servers of a cloud provider are located. Especially when it comes to security, it is always better to ask every question that comes to mind instead of later wishing you did. Question #5: Does this cloud provider provide operational transparency? Cloud companies strangely yet often overlook operational transparency. However, it is very important for users. For example, if an issue arises and you have a hard time getting to the bottom of it, it is important to understand how their service is performing. Even if you may not have a say in your provider’s services, such as performance management or service-level management, visibility into these services are important. Transparency is becoming more desired characteristic of businesses today, as it maintains trust between businesses and their clients as well as encouraging the maintenance of the integrity of services. 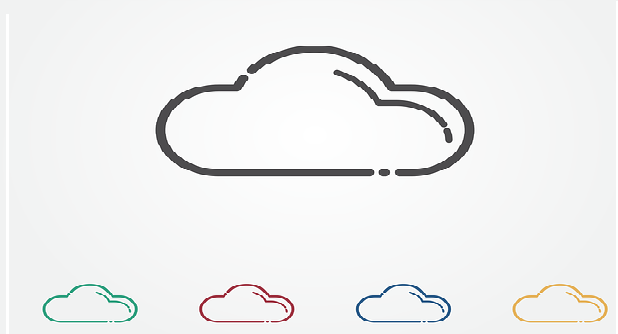 As you are choosing a cloud provider, you are choosing a cloud provider to do business with. Be sure that you are comfortable with how they operate as a company internally before moving forward. Great advice about cloud computing. Everyone who is going to buy a cloud computing should be clear in his mind what is his motive and why he need to buy that? It will help him to take a better decision and he will end with right cloud computing service. Hey there, Robin Khakkar. Nice article. Cloud is the future and you better decide your cloud provider before you run out of storage choices. This is incredibly important if you’re running a business. All of the five questions you have written are incredibly helpful in narrowing down the choices before choosing the right cloud service. Thank you very much for this article. No Doubt!….Great quality information and most important all above mentioned point very useful for those who planing to go with Cloud! I will also consider these points when go for searching cloud provider. I just like this point “Will my information be secure?” As this is the most important thing nowadays. cloud computing is gaining the IT industry so its necessary for provider who suits our needs and is according to your budget and project requirements. Cloud is what being adopted now. Before getting into it, it is very important to understand the technology from basics. Security is something every individual as well as companies are concerned about. When coming to cloud its bit confusing whether the data stored would be secure or not. You article is very useful to understand Cloud from basics and clear the doubts regarding the concepts. Thanks for sharing such an informative artcle and Keep Sharing !!! !